On the Vezelay Camino, 60 km under Limoges, is a new accommodation for pilgrims. 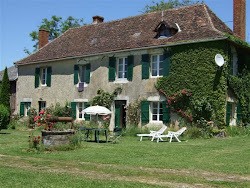 Before entering Thiviers, there's our huge Domain where you can sleep in one of our cottages. and to have a breakfast 8,50 euro. You can clean your clothes and/or bicycle.